DPD Chief James Craig, Fox 2 New’s Charlie Langton, and businessman Al Bartell. Every man should have at least one suit in his closet and know how to tie a tie. Unfortunately, a lot of men, especially in the African-American communities, do not own a tie or a suit to wear with it. 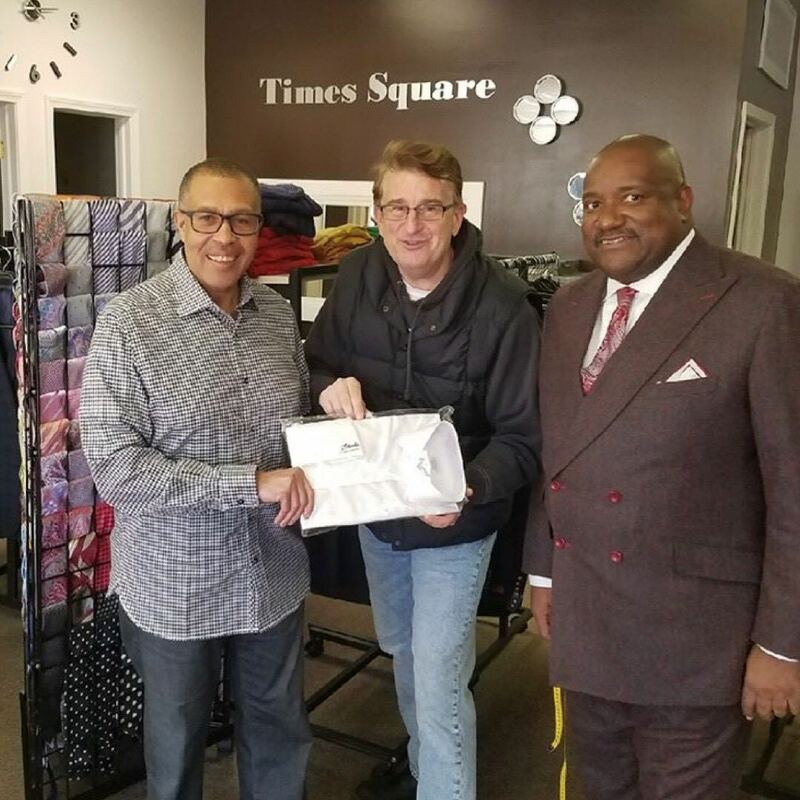 Al Bartell, owner of Suits for Less clothing store located in Detroit’s Historic Avenue of Fashion District at 19130 Livernois, wants to tie those that have and those that have not together with a free tie giveaway the day before Father’s Day June 16 from 1-3 p.m. at his store. The initiative is through the David L. Bartell Mentoring Program, which Bartell started in 2017 to honor his late father. The organization will be handing out free ties to young men and give them the opportunity to meet prominent community leaders to gain valuable knowledge on life experiences to become successful and prosper in today’s challenging times. Bartell plans to give away 400 or more ties, most of which he bought with his own money and gathered through donations. The ties will be for anyone who walks through the doors: boys, men or mothers who cannot afford to buy a tie for the males in their family. And just in case the recipients do not know how to tie a tie, Bartell and others will be on site teaching the art of tying one. Ties will not be the only thing given away at the tie giveaway. Bartell also plans to have some of Detroit’s prominent and influential male figures in attendance to share some of their valuable knowledge and life experiences to the younger generation, including Wayne County Executive Warren Evans, Pastor Welton Smith of New Life Family Church, Detroit Police Chief James Craig, FOX 2 News’s Charlie Langton, and Bishop Andrew Merritt from Straight Gate International Church. Evans, Craig, and Merritt are just a few of Bartell’s clients, providing them with custom suits and other clothing. Bartell said he hopes to run out of ties so that he can he can donate 600 ties for Father’s Day next year. His advice was to get there as early as possible.